No border. 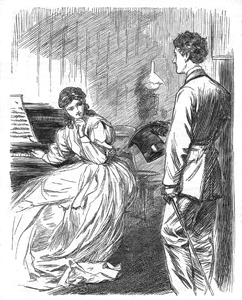 Illustration to Part 11. Header to Chapter XXI. This series is illustrated every other part. Work subtitled 'By the Authoress of "East Lynne." ' Author attribution from COPAC/BLPC. The work was subsequently published as a separate volume (London: Bradbury & Evans, 1863).